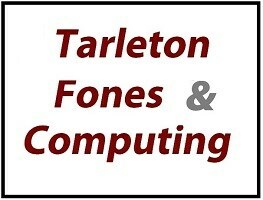 Tarleton Fones & Computing - IT and Consultancy based in Tarleton, Lancashire. We are part of the Fones and Computing Group with shops in Tarleton, Ainsdale and Formby. The group has been operating since 2007 and we have recently taken over this shop in Tarleton which was formally HB Computers. We offer a full Computer service selling new PC's, Laptops, Monitors, Peripherals and Ink Cartridges and we are a registered specialist iTechnicain Repair Centre We also repair all makes and models of Computers, Laptops, Mobile Phones and Tablets. We also sell a range a refurbished Desktops, Laptops, Tablets, and Mobile Phones, including a good range of Apple equipment such as iMacs, iPads, MAcBooks, and iPhones. We do not charge to diagnose problems, are freindly, and will always offer the best advise free of charge.